The key to success is teamwork, each of our business partners have an important role. We work together to achieve an high quality event. DOC DMC Macau | Hong Kong is the sister company of smallWORLD. As Destination Management Company (DMC) it complements our company in many projects where it offers comprehensive solutions. DOC DMC Macau | Hong Kong focus its activity on the MICE industry, especially in three areas: the destination management, event planning and conference management. The perfect solution for companies that intend to do their event in Macau or Hong Kong. Airstar in represented exclusively by smallWORLD. We have extensive stock of product in Macau for events retail. Airstar is World leader in outdoor / indoor balloon lighting systems. smallWORLD with its partner Human Rhythms created a unique solution in the World in close cooperation with AJ Hackett – Sky Drumming. AJ Hackett Macau Tower is home to the Worlds Highest Bungy/Bungee, Skywalk X, Skyjump, High Eposure and the Worlds Only Urban Tower Climb – 338m. EHP Hong Kong Ltd works in partnership with smallWORLD developing special training programs. Specialized in training, consulting and coaching EHP Hong Kong Ltd have been providing solutions to industries ranging from Hotels, Banking & Finance, Shipping, Sourcing, Merchandizing to Logistics. Hong Kong Auctions is a company specialized in Fine Art, Fine Wine and Charity Auctions in Hong Kong. The company was established in 2006 by Brian Hodgson, a professional auctioneer and member of the National Association of Auctioneers and conducts over 30 auctions a year in Hong Kong and Asia. smallWORLD has the Franchise for Macau for Human Rhythms with exclusive rights and authority to establish and operate a Human Rhythms business in Macau. Human Rhythms is about bringing music and unity to teams of people. Human Rhythms prides itself on being at the leading edge of the corporate team building industry. We have a truly unique product that, due to its non-verbal nature, is relevant to all cultures and all ages. Public speaking Hong Kong offers services on public speaking and presentation training. The company is managed by Brian Hodgson, a Public Speaker and Professional Trainer with more than 35 years of experience and is our partner company for training programs or special events MC. 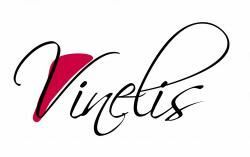 Vinelis is our partner in events involving wine, such as the Wine & Gourmet Casino and the Wine Making Academy. Based in Spain, Vinelis designs and organizes high-end image-building events around the greatest wines. Companies enjoy its events to communicate an image of prestige and exclusivity to their clients.